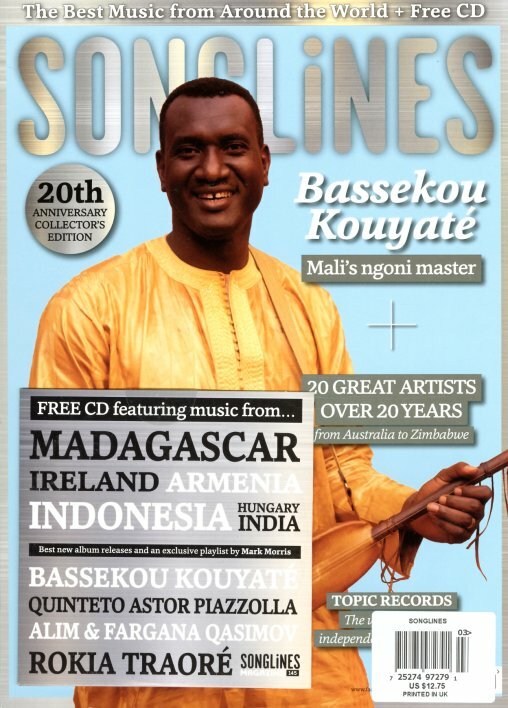 The 20th Anniversary of Songlines magazine – with Bassekou Kouyate on the cover, and a celebratory look at 20 artists who've mattered to the Songlines universe over the past 20 years! There's also a look at the cool folk indie label Topic Records, Olly Burton's Silk Road Journey, the music scene in Cali, and balafon player Vula Viel – plus a bonus CD with new music from around the globe! © 1996-2019, Dusty Groove, Inc.